Administrative Law Judge (ALJ), Elizabeth Feyzbakhsh, Office of Administrative Hearings (OAH), Special Education Division, heard this matter on November 13, 14, 15, 16 and 17, 2006, in Lake Elsinore, California. Student’s mother was present throughout the hearing and appeared on behalf of Student. Student was present for November 13, 14, 15 and 16, 2006. In addition, at the request of Student’s mother, a Mandarin interpreter, Lori Chuang, was present throughout the hearing. Attorney Brian Sciacca, appeared on behalf of Respondent, Lake Elsinore Unified School District (District). Dr. Katherine Roberts, director of special education for the District, was presentthrough November 15, 2006. She was called away on a family emergency and was not present for the last two days of hearing. The Due Process Hearing Request in this matter was originally filed on June 13, 2006. An amended due process hearing request was filed on July 5, 2006. On August 23, 2004, a notice of continued due process hearing was issued, upon the request of Student’s mother. Oral and documentary evidence were received during the hearing. Upon request of the parties, written closing arguments were submitted and the record was closed on December 4, 2006. D. failing to conduct a speech and language assessment within the appropriate time frame? v. change special day class (SDC) from small group/individual to small group in the March 18, 2005 IEP; change small group to SDC without specifying delivery model in the March 18, 2005 IEP; and placement in a larger group class from August 2005 though February 2006? H. failing to make an effective and timely referral to the County program pursuant to the February 23, 2006 IEP? 1. Student is a five-year-old female who is eligible for special education services due to autistic-like behaviors and mental retardation as a result of Down Syndrome. Student resides within the geographical boundaries of the District. 2. Student moved to the District from the Walnut Unified School District in the summer of 2004. Student’s mother first contacted the Lake Elsinore Unified School District in August 2004. Student was receiving special education services in Walnut Unified School District under the category of mental retardation. Student had not been diagnosed with autism at the time of her transfer to the District. 3. Student is very sweet, loves music, and is a joy to have in the classroom. She is non-verbal and requires constant supervision. Student has significant delays in communication, and in the development of social, adaptive and academic skills. 4. On October 14, 2004, the District held its first IEP team meeting regarding Student. The IEP team meeting was held in order to determine proper placement and services for Student. At this meeting Student’s mother was given an interim placement form which included a waiver of the placement and services provided in Student’s IEP from Walnut Unified School District. Student’s mother signed the waiver and agreed to place Student in an SDC for students with mild to moderate disabilities, located at Heald Elementary School (Heald). This was not a class that focused on children with autism. 5. The class at Heald was team-taught by Caren Simpson and Heather Howell. Student made virtually no progress while in the Heald classroom for the period of October 2004 through April 2005. It was difficult for her to stay on task, she often needed to leave the work area, she rocked, and she was unable to follow the class routine. 6. In March 2005,after an assessment conducted by the District, the IEP team changed Student’s primary eligibility category to autistic-like behaviors. Her placement was changed to an SDC within the autism program at Cottonwood Elementary School. Student attended this class until February 14, 2006, when Student’s mother unilaterally removed her from the classroom. She has not been attending school, at all, since that date. She did receive some services from the District during that time. She received OT and speech therapy at another site from February 2006 through June 2006. Currently she is not attending school and not receiving services. Did District fail to assess Student in all areas of suspected disability and adhere to assessment timelines? 7. Student claims the District failed to assess her in the area of autism and S/L, and failed to timely assess in the areas of fine and gross motor skills. 8. A school district is responsible for assessing students in all areas of suspected disability. If an assessment for the development or revision of the IEP is to be conducted, the parent shall be given an assessment plan within 15 days of the referral for assessment. The district must complete the assessment and hold an IEP regarding the results of the assessment within 60 days of consent to the assessment plan. Whether or not the District should have conducted an assessment turns on what the District knew at the time Student claims an assessment should have been conducted. 9. Student claims the District failed to conduct an assessment in the area of autism or autistic-like behaviors from October 14, 2004, until the time Student was ultimately assessed by the District on March 3, 2005. Student’s eligibility for services following that assessment changed from mental retardation to autistic-like behaviors on March 18, 2005. Talked a bit about [Student’s] flapping, and nodding and shaking of head. Asked if any testing was done to address these characteristics. Mom reported that she has wondered about autism and [Student’s mother said] that at 21 months she saw some differences in her behavior. Teacher stated the purpose of this meeting was to put goals and documentation onto LEUSD forms as well as annual review. 11. At the IEP team meeting, the team members discussed symptoms of autism and documented Student’s parent’s concern regarding autism. However, no assessment plan was developed and no assessment was conducted until five months later, during which time Student made virtually no educational progress in her placement at Heald. 12. On March 2, 2005, Student’s mother was presented with, and signed, an assessment plan for assessment in the area of social/emotional and behavioral development. Psychologist Linda J. Rivkin, Ed.D. conducted the assessment on March 3, 2005.Dr. Rivkin recommended that the IEP team reconvene to consider changing Student’s eligibility for special education to include autism as the primary disability and mental retardation as the secondary disability. 13. The District is obligated to assess in all areas of suspected disability. Factual Finding 10, the testimony of Student’s mother and the notes in the October 14, 2004 IEP indicate that autism was a suspected area of disability. As discussed in Factual Finding 11, the district was aware both of symptoms of autism and Student’s mother’s concern that her daughter may have autism. Therefore, the District should have conducted an assessment in that area at that time. 14. Student’s mother claims the District failed to assess Student’s need for occupational therapy within the required timeframes. The District provided Student’s mother an assessment plan in the area of perceptual/motor development on February 18, 2005. Student’s mother signed the assessment plan on that date. 15. There was no evidence presented that a fine and gross motor development assessment has ever been conducted. Therefore, the District did not comply with the Education Code. During the hearing, the District agreed to conduct a fine and gross motor assessment. That agreement does not negate the fact that the assessment was not conducted within the required timeframe. 16. Student claims the District failed to conduct a PT assessment in a timely manner. On April 29, 2005, Student’s mother signed an assessment plan consenting to an assessment in the area of educational physical therapy. 17. Five days prior to the hearing, the District produced a PT assessment report. The assessment was conducted on June 15, 2005, but the report had not previously been provided to Student’s mother. The assessor concluded that Student’s gross motor skills are commensurate with her developmental level and she presents with no significant physical limitations that inhibit her ability to participate in classroom activities. The assessor concluded that physical therapy services are no longer indicated. No IEP meeting convened to discuss the assessment. 18. Hence, the Districtconducted the assessmentwithin the timelines set forth in the Education Code, but no IEP team meeting convened and the assessment report was not delivered to Student’s mother until more than a year after the assessment was conducted. 19. Student claims the District failed to conduct a speech and language assessment within the appropriate time frame. Student’s mother requested an assessment of Student in the area of speech and language on May 2, 2005. The District presented Student’s mother with an assessment plan in the area of speech and language development on May 2, 2005. Student’s mother consented to the assessment on May 10, 2005. The District did not conduct a speech and language assessment of Student. Parent ultimately obtained a private speech and language assessment. Parent requested reimbursement for that assessment in January 2006. 20. During the hearing, the District agreed to reimburse Student for the cost of the assessment, which was $125. Once again, this agreement to reimburse does not negate the fact that the assessment was never conducted by the District and Student’s mother requested reimbursement close to one year ago. Did the District fail to provide Student a FAPE on procedural grounds in the 2004-2005 and 2005-2006 School Years? 22. Student claims the District failed to document progress toward goals and objectives and failed to provide timely progress reports. The District has an obligation to document progress toward goals and objectives and to report progress not less frequently than progress reports are given to general education students. 23. The District provided Student with documentation of Student’s progress toward goals and objectives through an adapted physical education (APE) progress report showing the first benchmark; a progress report signed by Heather Howell dated December 9, 2004; an OT progress report dated October 11, 2005; an IEP progress report dated November 16, 2005; daily logs for the following dates: April 4, 2005, April 25, 2005, November 3, 2005, December 2, 2005, December 12, 2005, December 13, 2005, January 19, 2006, January 20, 2006, January 26, 2006; and a weekly log for: May 12, 2005. 24. The District has been unable to locate Student’s file. In that file should be data and documentation regarding Student’s progress. The files provided by the District to the Student were woefully inadequate, especially for a child with autism who is receiving DTT. The data collected during DTT is very important and voluminous and is missing from the Student’s records. The loss of this file is of particular concern where a parent is claiming that services were not provided and the documents that could have resolved the matter are lost through no fault of that parent. 25. However, credible testimony was presented by Student’s teacher, that the teacher had created a notebook for Student. Every program was included in that notebook, and lesson plans were included as well. 26. Student’s ABA tutor from August 2005 through March 2006 credibly testified that every time she conducted DTT with Student, she would mark it down. She indicated that there were weekly lesson plans and that every week they would change the programs for the students. There were different programs that covered concepts such as shapes and colors. Student’s tutor was knowledgeable regarding the progress she made and the concepts that were covered. 27. Additionally, reports of Student’s progress were provided at Student’s many IEPs. Student’s progress has been reported to Student’s mother more frequently than reports are given in general education. 1 Effective July 1, 2005, a procedural violation constitutes a denial of FAPE only if the violation: (1) impeded the child’s right to a FAPE; (2) significantly impeded the parents’ opportunity to participate in the decision making process regarding providing a FAPE; or (3) caused a deprivation of educational benefits. This language reflects the 2004 amendments to the IDEA. 29. Student claims the District failed to have all IEP team members present at a number of IEP team meetings. 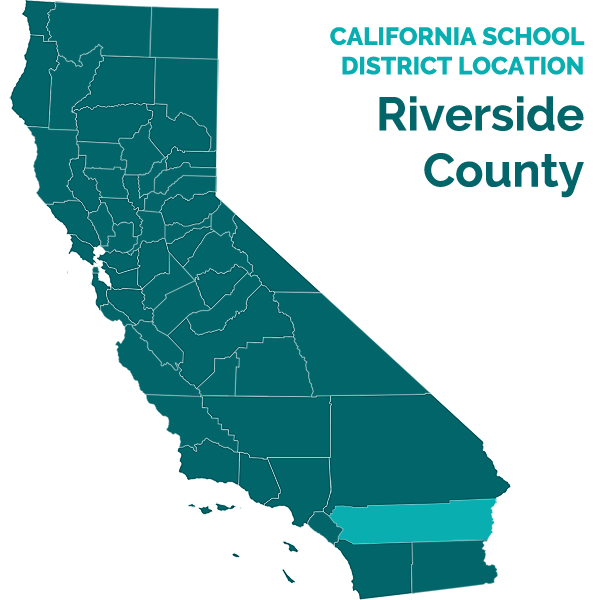 Specifically, Student claims that because the County of Riverside Headstart Inclusion (County) program was offered by the District in the IEPs dated October 14, 2004, February 18, 2005, and March 18, 2005, a general education placement was contemplated. Student, therefore, alleges that participation of a regular education teacher was mandatory. 30. Each meeting to develop, review, or revise the IEP of an individual with exceptional needs shall be conducted by the IEP team. The law requires that the IEP team include the following persons: parent or student designee, special education teacher, representative of the local education agency (LEA), individuals needed to interpret assessment results, if applicable, individuals who have knowledge or special expertise regarding the student, and when appropriate, the individual with exceptional needs. Additionally, if the student is, or may be, participating is the regular education environment, the IEP team shall include at least one regular education teacher. 31. Present at the October 14, 2004 IEP team meeting were an administrative designee, a special education teacher, an APE specialist, a speech and language pathologist and one of Student’s parents. Student contends there should have been a regular education teacher present because the county inclusion program was considered. 32. An administrative designee, a special education teacher, an APE specialist, a nurse, a regional center representative, an educational psychologist and one parent participated in the February 18, 2005 IEP meeting. Student contends that a regular education teacher should have been present. 33. In attendance at the March 18, 2005 IEP meeting were an administrative designee, a special education teacher, an APE specialist, two educational psychologists and one parent. Student contends that a regular education teacher should have been present. 34. Regular education was not being considered for Student because she was in preschool and because of the severity of Student’s needs. There was no potential that Student would have been placed in a general education classroom while in preschool. The IEP team members discussed referral to the County program, but there was no evidence presented to establish that the County program was a general education program. Therefore no regular education teacher was necessary at the October 14, 2004, February 18, 2005, and March 18, 2005 IEP team meetings. Additionally, any violation based on the absence of a general education teacher did not deny Student a FAPE because such absence did not cause Student to lose any educational opportunity and did not interfere with the parent’s ability to participate in the IEP process. 35. Student claims the occupational therapist left early from the April 29, 2005 IEP meeting without developing goals. She further claims that no physical therapist was present even though the presence of the physical therapist was requested by Student’s mother. An administrative designee, a special education teacher, a speech and language pathologist, a regional center representative, an occupational therapist, and one parent participated in this meeting. This IEP team meeting was an addendum to the October 14, 2004 IEP and the purpose of the meeting was to discuss placement, services, and concerns of Student’s mother. The team discussed that Student needed to be assessed by the physical therapist and gave Student an assessment plan. Nothing that was discussed at the meeting required the presence of a physical therapist. 36. Student claims that the only participants in the March 31, 2006 IEP team meeting were a program specialist without any credential and a former SDC teacher who never instructed Student. The IEP indicates that an administrative designee, Student’s special education teacher, Donna Wolter, an APE specialist, a program specialist, and one parent participated. The purpose of this meeting was to consider placement in the County program. Preliminarily, determinations regarding credentialing are made by the California Department of Education and California Commission on Teacher Credentialing; whether a teacher holds the proper credential to teach in a given classroom is not within the jurisdiction of a special education due process hearing. To the extent that the Student alleged that the teacher’s credential status constituted a denial of FAPE, Ms. Wolter’s testimony established that she possessed sufficient education and training to teach Student’s SDC class. Therefore, Ms. Wolter’s attendance at the IEP team meeting was proper and fulfilled the requirement for a special education teacher at the IEP team meeting. 37. Student failed to establish that necessary members of the IEP team were not present at any meetings. No evidence regarding the County program was presented to show that the County program was akin to general education. Additionally, while the County program was discussed, it was never the proposed placement set forth by the IEP team. Therefore, a teacher from the County program was not a necessary participant for any of Student’s IEP team meetings. 38. Student’s mother claims she was not given the appropriate prior notice regarding changes made in Student’s educational program. A local educational agency must provide parents with prior written notice when it refuses to initiate or change the identification, evaluation, or educational placement of the child or the provision of a free appropriate public education to the child. 39. Petitioner alleges there was no prior notice regarding discontinuance of PT services, and discontinuance of OT by ambiguous offer in IEP of October 14, 2004. 40. On September 17, 2004, the District provided Student an interim placement form for the parent’s consent for placement that was not in conformity with the IEP from Walnut Unified School District. The IEP documents indicate that neither OT nor PT would be provided. Parent signed the consent form on that date. This constitutes proper written notice for the changes included therein. 41. On October 14, 2004, the IEP team met to develop Student’s IEP. That IEP sets forth the placement and services offered to Student. Parent signed the IEP document consenting to the IEP. 42. Accordingly, as determined in Factual Findings 39-41, the IEP documents contained sufficient prior written notice regarding proposed changes to the Student’s IEP. Did the District fail to provide Student a FAPE on Substantive grounds in the 2004-2005 and 2005-2006 School Years? 43. Student contends that the District denied a FAPE to Student on a number of grounds but the primary contention is that, by failing to determine in a timely manner that Student was autistic, unique needs were missed, appropriate goals and objectives were not developed, placement was not appropriate and the programs and services were not adequate. 44. Student contends the District failed to identify her present levels of performance. The present levels of performance stated in the IEP indicated that Student’s learning strength or preference was “hands on with adult.” The present levels stated that parent was concerned with regression of skills and wanted Student to reach all of her goals. Regarding communication, the IEP stated that Student was non-verbal and terminated activities by pushing away. She placed her hand on an adult to indicate her desire for preferred items. In the area of reading, Student turned pages of books, was not yet able to sort colors, was not yet able to “nest” cups, could put blocks in a cup but could not match objects to pictures. In the area of writing, she could “scribble lightly.” She was noted to be able to complete two out of five pieces of a shape form board puzzle but could not stack blocks, and was unable to identify or match shapes. 45. Student contends the District failed to develop an IEP tailored to the Student’s unique needs. Student claims that the District failed to provide appropriate measurable goals and objectives and appropriate program and services to meet Student’s unique needs. 46. If the District’s program was designed to address Student’s unique educational needs and was reasonably calculated to provide some educational benefit, then the program is appropriate. The term “unique educational needs” is to be broadly construed and includes the student’s academic, social, emotional, communicative, physical, and vocational needs. 47. The law does not require that a student be labeled with a particular disability for special education services as long as the child has a disability listed under the IDEA. If the child’s IEP is tailored to the unique needs of that particular child, then the label of the disability does not matter. 48. Student has unique needs in the areas of academics, communication, social skills, behavioral skills, self help skills and motor development. Student’s needs arise from both her autism and her mental retardation. She has been identified as low-functioning autistic. Student is non-verbal and her attention span is limited. Student does not play with other peers and has reduced eye contact. She participates in circle time if accompanied by an aide and will participate in activities involving music. She is not toilet trained and needs assistance with dressing. Student has delays in motor development, with significant delays ingross motor skills. Student requires hand-over-hand assistance for most fine motor activities. 49. The first IEP for this Student in the District took place on October 14, 2004. That IEP meeting was held for the purpose of developing an interim placement and conducting the annual review. At that meeting, the District offered placement in a Special Day Preschool Class at Heald Elementary School, a public school within the boundaries of the District. 50. Because Student was not assessed in the area of autism, Students unique needs were not known by the IEP team at the time of the October 14, 2004 meeting. Some areas of need were identified in the IEP document. The IEP identified unique needs in the areas of attention, pre-academics, behavior, motor development, communication, pre-speech, and pre-language. The IEP team failed to identify needs in the area of social skills and self-help skills and failed to develop appropriate goals in the areas of behavior and communication. 51. In the area of attention, the team developed a goal which required Student to attend to preschool day activities for up to five minutes (circle time, group work, etc.) with some verbal prompting 100 percent of the time. 53. The IEP team identified a need in the area of behavior, specifically, following directions. The team developed an annual goal which required Student to follow a one- direction command with little or no physical prompting in four out of five trials. 54. The IEP team identified a need in the area of motor development. The team developed an annual goal requiring Student to roll an eight-and-one-half inch ball while seated from six-to-eight feet to another person on six out of 10 attempts with 80 percent accuracy. 55. The IEP team identified communication as an area of need and developed two goals to address the need. To address Student’s intentionality to communicate, which was identified as an area of need, the IEP team developed an annual goal requiring Student to demonstrate acquisition of pre-linguistic skills by localization returning and securing eye gaze in eight of 10 trials when socially greeted at the beginning and end of class and initiation of new activities with 80 percent accuracy. 56. To address Student’s pre-speech oral/motor skills, the IEP team developed an annual goal which required Student to demonstrate a range of oral/verbal posturing during feeding, mouth-to-play, and oral stimulation activities exhibiting eight out of 10 trials with 80 percent accuracy in approximately three to four consonant and vowel combinations. 57. The IEP team identified a need in the area of symbolic pre-language. To address this need, the IEP team developed a goal which required Student to point to pictures on a lo-tech board with paired vocal approximation to signify desired item or activity or action with 80 percent accuracy in eight out of 10 trials. 58. There were areas of need not addressed by this IEP. As discussed in paragraph 50, there were no social/emotional goals, no self-help goals and the communication goals and behavior goals were insufficient to address Student’s needs. There was no goal to address Student’s toileting needs. There was no goal to address Student’s writing skills. There was no goal to address Student’s fine motor skills. There was no goal to address Student’s sorting skills. Given the severity and nature of Student’s disability, the failure to include goals in these areas constituted a denial of FAPE. 59. While it is not imperative that the appropriate label be placed on a child, it is imperative that the appropriate goals, programs and services, and placement be provided. In this case, the programs and services did not meet Student’s unique needs and were not designed to provide educational benefit. Student needed placement in a class that addressed a child with autism with the appropriate programs, services and supports. 60. The team met again on February 18, 2005. The meeting was requested by Student’s mother to address Student’s progress in the preschool SDC program. An administrative designee, a special education teacher, an APE specialist, a nurse, a regional center representative, an educational psychologist and one of Student’s parents participated in the February 18, 2005 IEP meeting. 61. The SDC teacher presented information on Student’s progress at that time. The teacher indicated that Student had made no progress from her prior goals; she focuses on the immediate object in her hand and all work must be done hand-over-hand. At that time, Student’s mother informed the team that Student had spoken a few words when she was 18 months old, but regressed and spoke no words at all. The nurse shared concerns regarding Student’s vision and hearing. The occupational therapist recommended an OT evaluation of Student. The IEP team noted that Student’s mother was seeking an assessment and informed Student’s mother that “If [Student] received an eligibility of autism, placement considerations will be addressed at that time.” No further goals were recommended and no placement change was made at that time. 62. The team met on March 18, 2005, as an addendum to the October 14, 2004 IEP meeting. The meeting was called to discuss Student’s mother’s concerns with Student’s placement. An administrative designee, a special education teacher, an APE specialist, two educational psychologists and one parent participated in that meeting. The school psychologist discussed her report in which she found Student eligible for special education under the category of autistic-like behaviors. She recommended changing Student’s primary eligibility to autism and recommended changing her placement from Heald to the SDC autism class at Cottonwood Elementary School on a trial basis until the end of the school year. 63. Student was offered placement in the afternoon session which was held four times a week for two and one half hours. She was also offered OT, speech therapy and APE. Student’s mother requested that Student be enrolled in the morning class but was informed that the morning class was geared toward students who would be entering kindergarten the following year and Student was not ready for that class. The District informed Student’s mother that if Student had to have a morning class, she would have to remain at Heald. 64. The notes on the IEP document state that mother requested OT but that the OT provider was not available to address her request. Student’s mother signed the IEP form, but wrote that she consented to the IEP addendum except for the provision of OT in a small group. She wanted Student to receive OT individually. 65. The program offered was a preschool class developed specifically to work with autistic children. The class consists of three-to-five-year olds. Donna Wolters was the primary certificated teacher in the classroom, and there were other teachers and aides as well. Ms. Wolters has been a teacher at Cottonwood Elementary School for eight years. Her program was preschool and kindergarten. The focus of the class was to benefit children with autism. The class focused on toileting, fine motor skills, pre-academic skills, socialization skills, and play skills. 66. In addition there was a separate classroom where DTT took place. DTT was done on a one-to-one basis. The school brought in typically developing peers to help model language and behavior. There were a total of 12 children in the class. The student to teacher ratio was one-to-three. Ms. Wolters confirmed that there was sufficient support in the classroom to allow Student to participate. 67. A typical school day consisted of “circle time,” group work in which there was four tables and each had a different activity, snack time and lunch, a toileting schedule, and at the time, the class had a visual schedule. 68. Pursuant to Factual Findings 62-67, the placement was appropriate for Student and the services offered in the IEP met some of Student’s unique needs and were designed to provide educational benefit in those areas of need. However, as determined in Factual Finding 58, because the goals were not amended from the IEP developed prior to Student’s diagnosis of autism, some unique needs were not identified and goals and objectives were missed due to the failure to identify those unique needs. 69. An Addendum IEP meeting was held on April 29, 2005. The purpose of this meeting was to discuss placement, services and concerns of parent. Student’s mother consented to the IEP except for speech and language therapy, which she wanted on a one-to-one pullout basis, she requested a one-to-one aide in the afternoon, and extended time in the ESY program. 70. Based on the assessment that identified Student as eligible for special education based on autistic-like behaviors, and Student’s subsequent change in placement to the autism class, new areas of unique need were identified and new goals and objectives were developed. The following goals were properly developed to meet Student’s unique needs as established by Student’s psycho-educational assessment. 71. The team identified daily living skills, specifically toilet training, as an area of need. The team developed a goal which required that Student adhere to a schedule of toilet training-voiding at least two of three tries, with no more than one accident per week. 72. The team identified writing skills as an area of need and developed a goal to address Student’s need for improving her ability to write. The goal requires that Student trace and copy a vertical line, a horizontal line, and circle with no more that one verbal prompt in four out of five trials. 73. The team identified a need in the area fine motor skills, specifically the development of cutting skills. A goal was developed requiring that Student cut a six-inch line with no more than one verbal prompt, with 100 percent accuracy in four out of five trials. 74. The team determined that social skills were an area of need and developed a goal requiring that Student engage in a group activity such as music or play-doh with no more than one verbal prompt for 15 minutes with 80 percent accuracy. Student’s mother agreed to this goal. 75. The team added other annual goals to Student’s IEP. For example, Student was to imitate 12 actions with objects when actions are demonstrated and Student is instructed to “do this,” with no physical prompts and 80 percent accuracy. Student’s mother agreed to this goal. 76. The team added an annual goal requiring Student to manipulate objects to demonstrate comprehension of nine early positional concepts with 80 percent accuracy. Student’s mother agreed to this goal. 77. The team added a sorting goal which required Student to sort by colors, shapes, and in-class categories, with no physical prompting, with 80 percent accuracy when given the instruction to “sort.” Student’s mother agreed to this goal. 78. The team added an annual goal requiring Student to follow one step directions with little or no physical prompting in four out of five trials. 79. The team added an annual goal in the area of communication which required the Student to demonstrate a range of verbal posturing during feeding, mouth toy play, and oral motor stimulation activities in eight of 10 trials in approximating three-to-four consonants and three-to-four vowels. 80. The team added an annual goal in the area of pre-language. The goal required that upon visual prompt the Student would point to a picture on a board with paired vocal approximation to signify desired item or activity or action in eight of 10 trials. 81. The team recommended that Student begin an ABA/DTT program in the morning for three hours-per-day, four-days-per-week. Student continued in her SDC preschool class in the afternoon. 82. As discussed in Factual Finding 70, the April 29, 2005 IEP correctly identified Student’s unique areas of need. The testimony of Student’s teacher, Ms. Wolter, and school psychologist, Dr. Rivkin, established that these goals addressed Student’s needs, and there was no evidence to the contrary. As determined in Factual Findings 71-80, appropriate written goals were developed to address those needs. Finally, pursuant to Factual Findings 68 and 81, placement of Student in the autism SDC with an ABA/DTT program was appropriate. 83. An IEP team meeting was held on October 14, 2005. The purpose of this meeting was Student’s annual review. Parent participated in this meeting telephonically. Student’s present levels of performance were set forth. Progress on prior goals was noted. Student met her goal for following directions, made substantial progress on three of her goals, made partial progress on three other goals, and made no progress on her toileting goal. The IEP document indicated that Student’s parents were provided information regarding progress on Student’s goal through progress reports, report cards, and conference and IEP meetings. 84. Annual goals were developed. In the area of behavior, specifically the area of “following classroom routine,” Student was given an annual goal that required her to follow a classroom routine using a visual schedule, transitioning from one activity to another with no more than one verbal prompt per transition and no more than one non-compliant behavior in four of five trials with 80 percent accuracy. 85. In the area of communication and language, the team developed many annual goals. The team developed an annual goal requiring Student to perform a variety of fine motor tasks upon verbal commands with no physical prompting and 90 percent accuracy. The team also developed an annual goal requiring Student to imitate five vowel sounds produced in isolation and five early developing consonant sounds produced in isolation when given tactile proprioceptive and/or verbal prompts with eight percent accuracy in four of five trials. Student was given a goal requiring production of 15 vocalizations within a three minute period when engaged in preferred activities with 80 percent accuracy in four of five trials. The team developed a goal requiring that Student imitate oral-motor movements including lip pursing and others, with tactile, proprioceptive and/or verbal cues with 80 percent accuracy in four of five trials. The team developed a goal that required Student to demonstrate understanding of basic concepts with 80 percent accuracy when given objects to manipulate. Student was also given an annual goal requiring her to match objects to their identical pictures, match objects to non-identical pictures and discriminate among sets of four for each task with 80 percent accuracy. 86. The team developed an annual goal in the area of fine and gross motor skills. The goal required that Student be able to cut a six-inch line with only verbal prompting in four of five trials. 87. In the area of daily living skills, a toileting goal was developed. The goal required that Student adhere to a classroom schedule of toilet training, voiding at least four of six tries with no more than one accident per week. A dressing goal was also developed requiring that Student be able to put on her jacket upon cueing to do so in four out of five opportunities. 88. In the area of math and math reasoning, the team developed an annual goal. The goal required that Student match identical numbers to numbers zero through 10 with 80 percent accuracy in four out of six attempts. 89. The team developed social and emotional annual goals. One goal required that Student give and receive a toy with a peer or an adult with no more than two prompts in four out of five trials for two consecutive weeks. Another goal required that Student imitate modeled play with no more than two verbal prompts in four out of five trials. Another goal required that Student choose one toy when given a choice of three toys and use the toy as intended for one minute with no more than two prompts in four out of five trials. 90. In the sensory area of need, the IEP developed a goal. The goal required that Student be able to maintain at an optimal functional level for five to 10 minutes in four of five opportunities during a non-preferred table top activity. 91. The team recommended continued placement in the autism SDC class at Cottonwood Elementary School. A continued IEP was scheduled for October 24, 2005. Student’s mother was unable to attend that meeting and stated that she would contact the school regarding rescheduling of that meeting. 92. As determined in paragraphs 84 to 91, the recommended placement at the autism SDC was appropriate for Student. Her goals and objectives were thorough and addressed Student’s unique needs. Hence, the District offered FAPE for the 2005-2006 school year. 93. Student claims the IEP failed to clearly specify the frequency of DIS services. Student claims that DIS services are unclear from every IEP meeting. Specifically Student claims the use of the word “session” makes the offer unclear. 94. For example, the February 18, 2005 IEP specifies that SDC was four days a week for two and-one-half hours, while the frequency of both SLP and APE services was 50 sessions, for 20 minutes each. 95. The IEP documents specify the number of sessions of each service and the length of each session to be conducted over a specified amount of time. This is not unclear and does not amount to a procedural violation. 96. Student claims FAPE was denied because the teacher and speech and language therapist were not properly credentialed. As discussed in Factual Finding 36, it is not within the jurisdiction of a special education due process hearing to decide whether a teacher in a given classroom is properly credentialed. However, to the extent that an issue concerns whether the qualifications of a teacher or service provider constitute a denial of FAPE, such an issue is within the jurisdiction of a special education due process hearing. In the present case, the teacher has a Preliminary Level I Education Specialist Instruction credential, and the speech and language therapist has a Life Specialist Instruction credential in special education. There was no claim that the teacher or speech and language therapist was not properly trained. Moreover, the evidence did not establish that the teacher or speech and language therapist lacked proper training. In light of all evidence, the teacher and speech therapist possessed sufficient qualifications to provide instruction and services to Student, and their qualifications did not deny Student a FAPE. 97. Student alleges the District failed to make an effective and timely referral to the County program. The evidence was unclear regarding this County referral. No evidence was presented to explain the County program other than the fact that it is an inclusion program. 98. An IEP team meeting was held on March 23, 2006. The purpose of the meeting was an addendum to the October 14, 2005 meeting and to consider placement in a Riverside County preschool program. Student’s mother did not consent to this IEP. There was discussion of goals and Student’s mother agreed to some goals but not others. Referral for the County program was also discussed. The IEP team set another date to meet, on March 31, 2006. 99. The IEP team convened on March 31, 2006 to discuss referral to the County program. Participating in the meeting were an administrative designee, a special education teacher, an APE specialist, a program specialist, and Student’s mother. A problem with the referral to the County program was discussed. The notes indicate that the school team proposed to meet with the District service providers to draft goals with the parent. Parent refused to meet stating that the goals were still valid and that it was unnecessary for the team to meet to clarify the goals. 100. Student’s mother testified that the County should have had all the information they needed and that the District withdrew the referral. The District witnesses claimed that the County wanted more clarity regarding Student’s goals that another IEP meeting needed to be held and that Student’s mother refused to cooperate. Because the evidence was unclear and Student has the burden of proof, the burden was not met. 101. Student contends the District failed to provide an in-home ABA program and a one-to-one classroom aide. There was no evidence presented that proved that a home program or a one-to-one classroom aide were necessary in order for Student to receive academic benefit. The District has offered Student three hours of ABA in the morning and a classroom setting in the afternoon. The testimony of Student’s teacher and Student’s DTT tutor established that the ratio of students to teachers was primarily one-to-one already, and established that the provision of ABA in the form of DTT in the morning coupled with classroom teaching in the afternoon addressed Student’s unique needs. 102. Student claims she is entitled to more extended school year than was offered by the District. Extended school year services must be provided if a child’s IEP team determines that the services are necessary. Student was offered participation in the extended school year program. There was no evidence presented that showed that the extended school year services were inadequate. 103. When an LEA fails to provide a FAPE to a student with a disability, the student is entitled to relief that is “appropriate” in light of the purposes of the IDEA. Compensatory education is a form of equitable relief which may be granted for the denial of appropriate special education services to help overcome lost educational opportunity. 104. Student should have been offered an appropriate placement on October 14, 2004, and should have been offered the appropriate ABA services at that time. Given the determination in paragraphs 58 and 68 that the District denied Student a FAPE during the 2004-2005 school year, compensatory education is an appropriate remedy. Between October 14, 2004 and March 28, 2005, Student would have received approximately 240 hours of ABA. In addition, she would have received classroom instruction in a class specifically designed for children with autism. Because of the severity of Student’s needs, compensatory education totaling 240 hours of in-home ABA services is an equitable remedy for the denial of FAPE. The District may arrange for qualified District staff to provide these compensatory hours to Student, or may opt to contract with a non-public agency (NPA) to deliver these hours to Student. 9. The Ninth Circuit Court of Appeal has endorsed the “snapshot” rule, explaining that the actions of the school cannot “be judged exclusively in hindsight…an IEP must take into account what was and what was not objectively reasonable when the snapshot was taken, that is, at the time the IEP was drafted.” (Adams v. State of Oregon (9th Cir. 1999) 195 F.3d 1141, 1149, citing Fuhrman v. East Hanover Bd. of Education (3d Cir. 1993) 993 F.2d. 1031, 141.) However, the “snapshot” rule does not eliminate a school district’s obligation to revise a student’s educational program if it becomes apparent that the student is not receiving any educational benefit. Issue I During the 2004-2005 school year, the District failed to properly assess Student in all areas of suspected disability and failed to adhere to assessment timelines. 16. Based on Factual Findings 4-13, and Legal Conclusions 1, 2, and 6-8, the District failed to assess in the suspected area of need of autism. 17. Based on Factual Findings 19-20, and Legal Conclusions 1, 2, and 6-8, the District failed to conduct a fine and gross motor evaluation. 18. Based on Factual Findings 16-18, and Legal Conclusions 1, 2, and 6-8, the District did not fail to timely assess in the area of physical therapy. 19. Based on Factual Findings 19-21 and Legal Conclusions 1, 2, and 6-8, the District failed to assess in the area of speech and language. Issue II The District did not procedurally deny Student a FAPE in the 2004-2005 or 2005-2006 school year. 20. Based on Factual Findings 22-28 and Legal Conclusions 1-5, and 9-11, the District failed to properly document Student’s progress. As determined in paragraph 28 of the factual findings, this violation alone did not constitute a denial of FAPE. 21. Based on Factual Findings 38-42 and Legal Conclusions 1-15, the District did not fail to provide prior written notice. Issue III The District substantively denied Student a FAPE in the 2004-2005 school year, but provided Student a FAPE in the 2005-2006 school year. 22. Based on Factual Findings 49-68 and Legal Conclusions 1-4 and 8-15, the District failed to offer an appropriate placement for Student between the months of October 2004 through March 28, 2005, and failed to provide appropriate supports and services through April 29, 2005. 23. Based on Factual Findings 62-104 and Legal Conclusions 1-15, the District offered and provided FAPE to Student in the 2005-2006 school year. 1. The District has stipulated to and is hereby ordered to conduct a physical therapy assessment of Student. 2. The District has stipulated to and is hereby ordered to conduct a perceptual/motor assessment of Student. 3. The District has stipulated to and is hereby ordered to reimburse Student’s mother for the cost of the independent speech and language assessment in the amount of $125. 4. The District is hereby ordered to provide 240 hours of compensatory education in the form of in-home ABA tutoring. The District may provide these compensatory hours to Student, or may contract with an NPA to deliver these hours to Student. The Student prevailed on Issue I. The District prevailed on Issue II. The Student partially prevailed on Issue III and the District partially prevailed on Issue III.